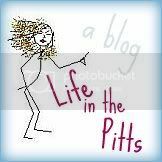 Life in the Pitts: Hooter Hiders!! Oh I love your blog! You are a great writer and I can already tell you are going to have some good links! I have been blogging way to long and have figured out stuff the hard way, but I wold love to help if you have any questions! Love it! hey you! your blog is darling. mine is private, but i will send you an invitation here in a minute!